Kolkata: The West Bengal government has taken an in-principle decision to grant the “relief undertaking status" to troubled tyre maker Dunlop India Ltd, a move which would prevent the company’s unsecured creditors from seeking liquidation of its assets for recovery of their dues. Dunlop, though, would have to reopen its Sahaganj plant to get the protection. Dunlop is majority owned and controlled by chartered accountant-turned entrepreneur Pawan Kumar Ruia, who in 2005 acquired the company from Manohar Rajaram Chhabria’s Jumbo Group. The new management has since been struggling to run its factory at Sahaganj in West Bengal’s Hooghly district with losses mounting. A note was prepared on Tuesday and the proposal to grant Dunlop the “relief undertaking status" was cleared by the state cabinet on Wednesday provided it resumes operations at its Sahaganj plant, according to the official cited above. “It was earlier decided that the state government would decide on giving Dunlop protection from its creditors only after its management had made a firm commitment to reopen the Sahaganj factory," said the official. The company had asked for it, and the state government would provide protection from creditors only if the Sahaganj factory is reopened and Dunlop’s management takes necessary steps to run it, said state commerce and industries minister Partha Chatterjee. A spokesperson for the Ruia group said the protection was essential for reviving the Sahaganj factory, but did not elaborate. The state’s in-principle decision to provide creditor protection immediately is likely to evoke protests from Dunlop’s trade unions, which were expecting the state government to drive a hard bargain with the Ruia group. The state government should have extracted a commitment from Dunlop’s management to clear all worker dues before granting it the relief undertaking status, said key union leaders on condition of anonymity. Dunlop’s management, which suspended operations at the Sahaganj factory on 8 October, has said it would decide on reopening the factory at its 21 October board meeting. 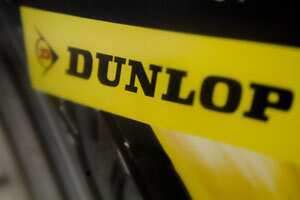 The suspension of operation means Dunlop’s workers will not be entitled to salary till the factory reopens. The state government has been trying to build a consensus among Dunlop’s nine trade unions. But talks between the state’s labour minister Purnendu Bose and Dunlop’s workers have so far failed. On Tuesday, only three unions, including the one backed by the ruling Trinamool Congress party, agreed to Bose’s proposed charter of demands.